The best way to assimilate the information in this book is by practicing on a free demo account. This allows you to see how the various calculations interrelate and how prices of the various pairs and crosses move over time. You can also explore different types of charts, indicators, and order types. Perhaps most important, you will get a feel for the rhythm and pace of the real-time currency markets. 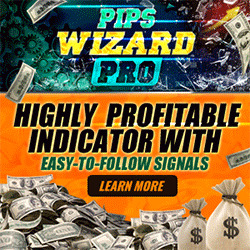 Watch for how much prices typically move on different chart scales (5-minute, 15-minute, 1-hour, 1-day) in both pips and dollars. Observe the interrelationships between the various chart time scales. Note that trends of significance do take time to develop and prices very seldom move either straight up or straight down without corrections and consolidations. See if you can spot specific characteristics of different currency pairs. Be sure to download the documentation to a broker's trading platform and spend some time studying and learning all the key features. It is usually available separately from the trading platform download, but is always available under "Help" on the platform itself. The broker-dealers listed in this chapter's "Broker-Dealer Spotlight" section also offer a wide variety of instructional materials on their web sites, including articles, how-to's, tutorials, and webinars. We encourage you to supplement the materials in this book with those offerings. You may consider opening a demo account with perhaps two or three of the broker-dealers reviewed in our "Broker-Dealer Spotlight," one at a time. Of course, there are many others from which to choose. 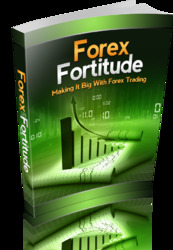 Consult Appendix B, "Resources for the FOREX Trader," for more. Remember, no broker is perfect; real-time trading platforms are extremely complicated software programs. Further, a broker that works well for one trader may not be another's cup of tea. You should do your own due diligence when choosing a broker. If you have already worked with a demo account and feel comfortable with a broker's trading platform, the next step would be to open a mini-account and trade very small lots of perhaps 100 to 1,000 units.